The Gefen 4x1 DVI switcher offers unparalleled flexibility in the setup of high definition theater and electronics systems. 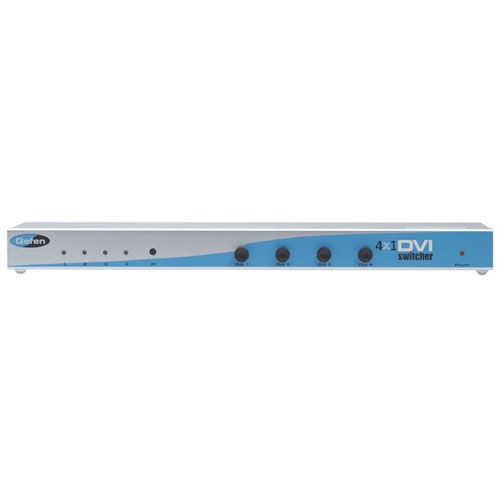 A plug and play solution, the 4x1 DVI switcher connects four DVI source devices, such as DVI-based computer systems, and links them to one DVI display. You simply select what source will be viewed on the display using the IR remote control or the optional wired remote control. It can also be controlled using any universal programmable remote device, offering an alternative to multiple remote control confusion.